So the changes to made in menu_1024_768.ini are not the same as you describe. If you want me to write you, what to do? I will just copy/paste my preview descriptions. Nothing different, the principle is the same, how I already describe it. You must create one new item to the chrono. 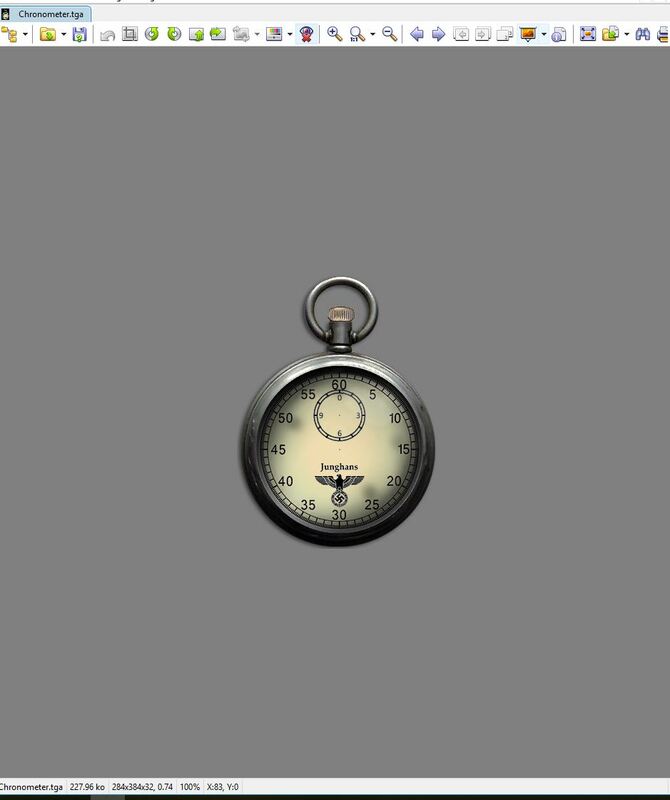 Over the chronometer.tga you measure the resolution and position of this new item, that will define the area, where you will click for the chrono to start/stop/reset. Or, the easiest way is, just send me your menu_1024_768.ini and this chronometer.tga, and I'll do it. 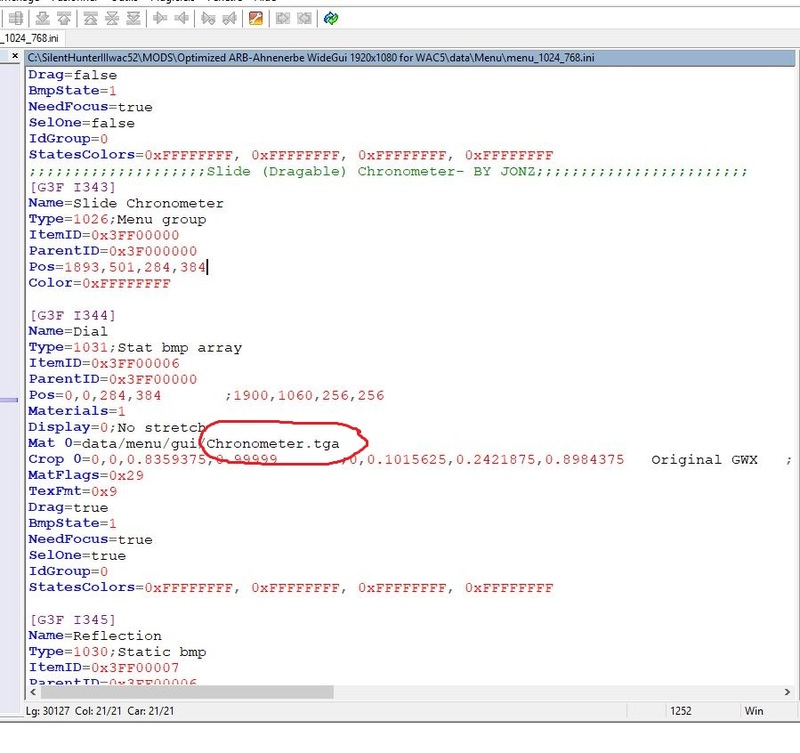 I had already modified the menu_1024_768.ini and create one new item to the chrono as in your example. i will going deeper and test it. If i have problem i will write you. Last edited by ericlea; 12-28-2018 at 09:55 AM. Well, I come back home too late this night, don't have time for this. But now, when I look over your screenshot, maybe I know where is your mistake! Maybe, you connect the new item to the ParentID=0x3FF00000 (item 343)? Yes, in my example it is child to the 0x3FF00000, but it is different case. Now look close to your case. This item, 343 is a type = menu group, and it is stationar, and from my point of view - completely redundant. Your draggable element is the next item 0x3FF00006, and all other chrono element (Arrow, Glass...) are probably connected to it. When you drag your chrono in the game, the 0x3FF00006 and all its children are moving. 0x3FF00000 is not child to the draggable item, but opposite, it is a parent to the 0x3FF00006, but this don't make it draggable. 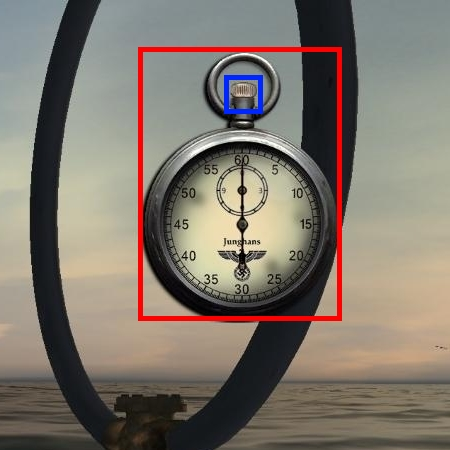 It stay on its position and only define the original position of the chrono, before you start dragging it. Now if you connect the required new item to the 0x3FF00000, then it also will be stationar and stay on position. If still don't happen, then tomorrow night I will do it! Last edited by Tycho; 12-28-2018 at 02:55 PM. Your are a master that was the solution !!! Now functional dragable chrono works and will work with all 1920x1080 widegui mods ! After your FULL NAV MAP for widegui 1920x1080, now your functional dragable chrono ! 2 very important enhencements in the story of sh3 ! tomorrow I’ll place the on/off area on the stopwatch top button and everything will be perfect ! here is the functional draggable chrono for MaGui F ! 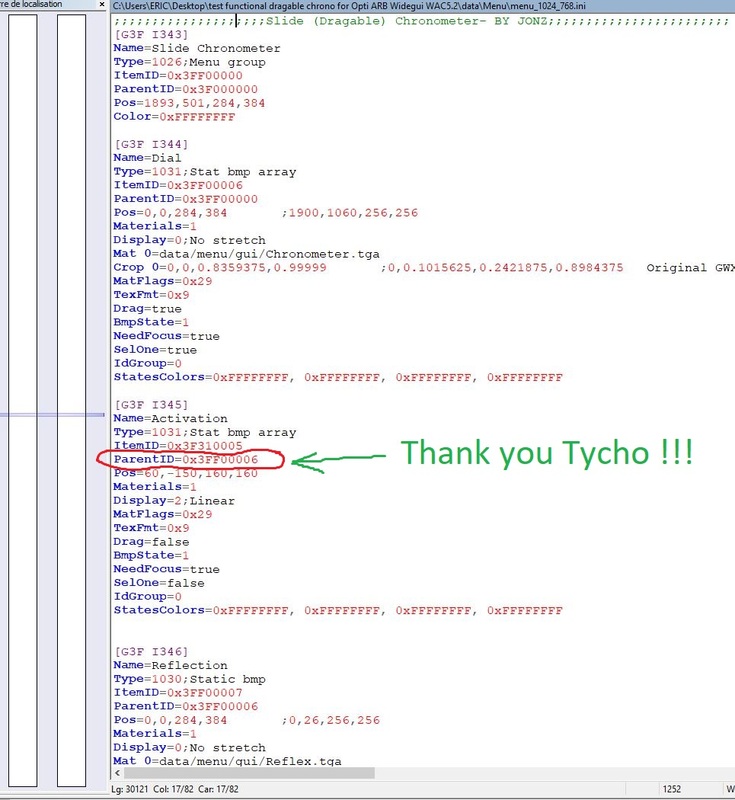 paste it in the mod at same level as "ChronoPatch.bat"
Thanks to Tycho for this great Sh3 enhencement !